Therese and Fredrik got married in the beautiful Kungsholm's church, with reception at Sundby gård, in Stockholm, Sweden. I was their wedding photographer and hand the pleasure of taking their engagement photographs too, see that blog here. We went to Stockholm city hall after they got married, to take some wedding portraits there. The reception was held at the lovely Sundby Gård, where all the guest were sitting next to the sea while eating the dinner. After the dinner, it was time for cake cutting and the first dance. Watch out so the cake don't fall! 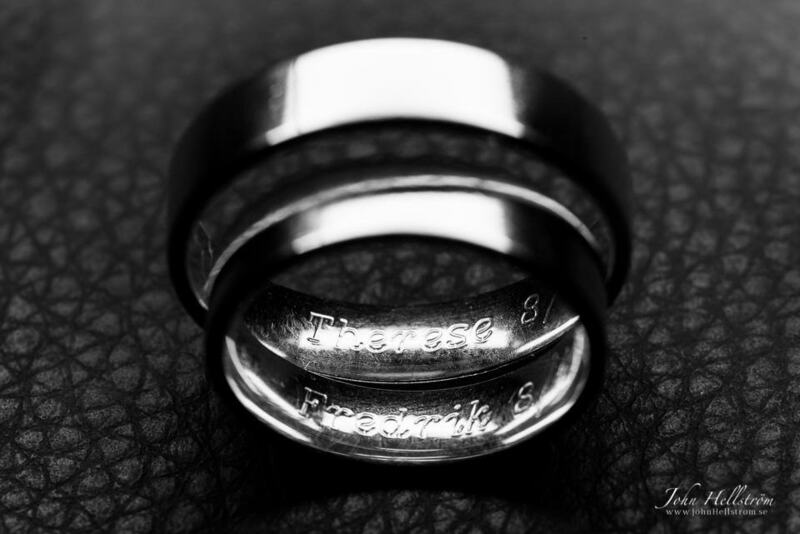 Therese + Fredrik = True!